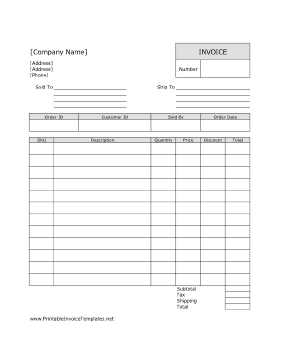 A printable invoice to be used for products sold at a discount. It has room for shipping information, quantity, prices, and more, as well as a box in which to note the invoice number. It is designed in portrait orientation and has lines. It is available in PDF, DOC, or XLS (spreadsheet) format.